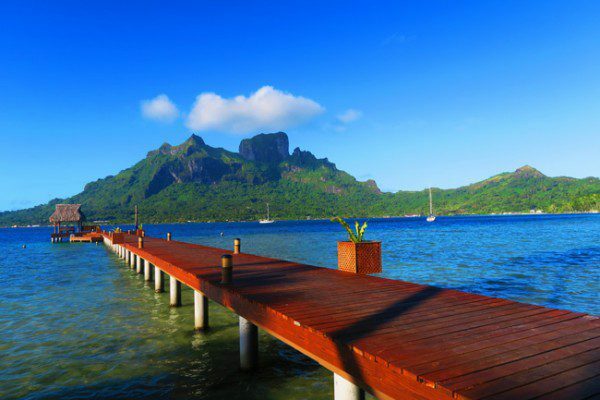 Tahiti… Just that name stirs up images of an exotic tropical paradise. Well, it’s pretty close to that. 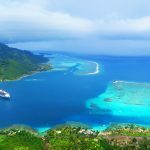 If you’re heading to French Polynesia, good for you! Your friends will no doubt be super jealous of you. I spent two weeks in Tahiti while traveling across the South Pacific Islands. 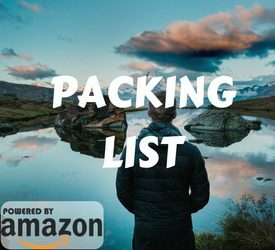 Here’s my personal list of the top things to do in Tahiti. 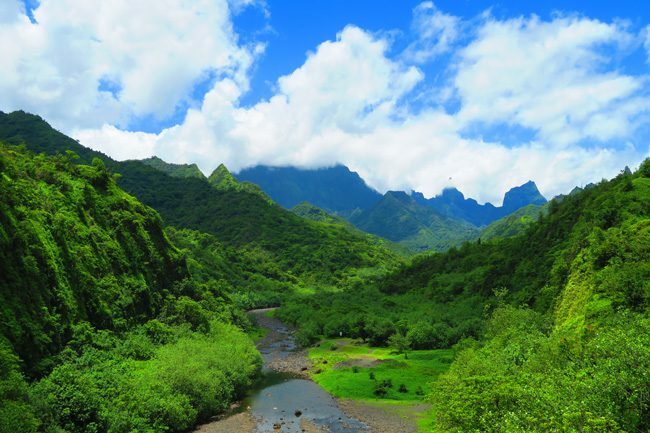 A quick note before we start: Tahiti is often the name used to describe the 118 islands and atolls that make up French Polynesia, even though it’s technically just the main island’s formal name. I guess it’s just a better sounding and well branded name. 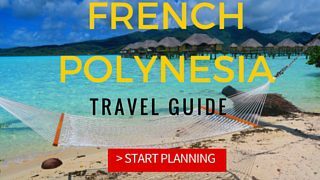 In any case, I’ve got you covered if you’re curious about the top things to see and do in French Polynesia. 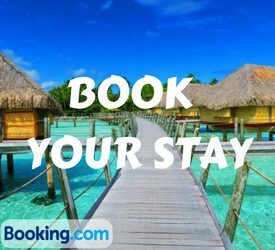 Let’s begin out tour of Tahiti island! 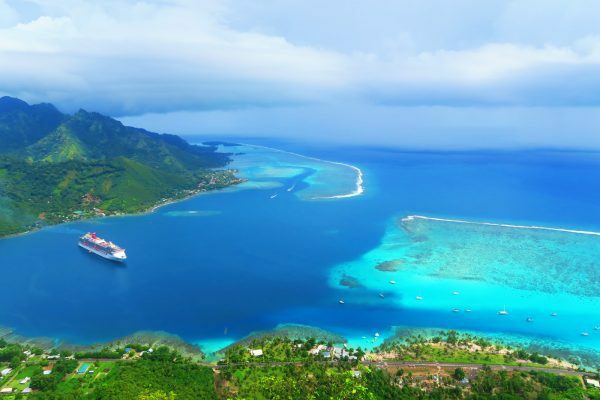 Heading off to French Polynesia? 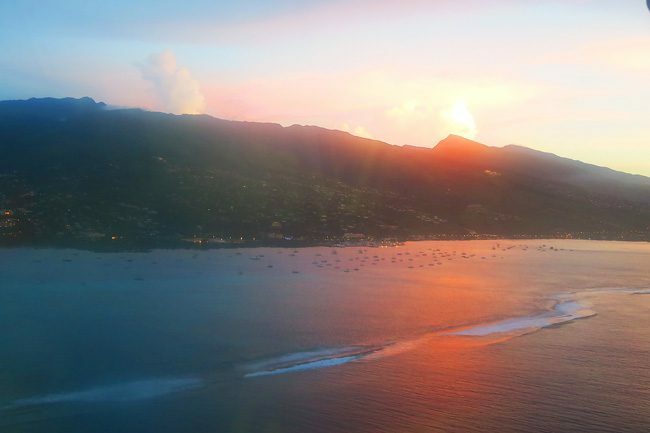 Guides to 11 islands await you, including sample itineraries and lots of travel tips & tricks. From American Samoa to the Cook Islands, attending a Sunday church service in the South Pacific Islands goes way beyond a religious experience. 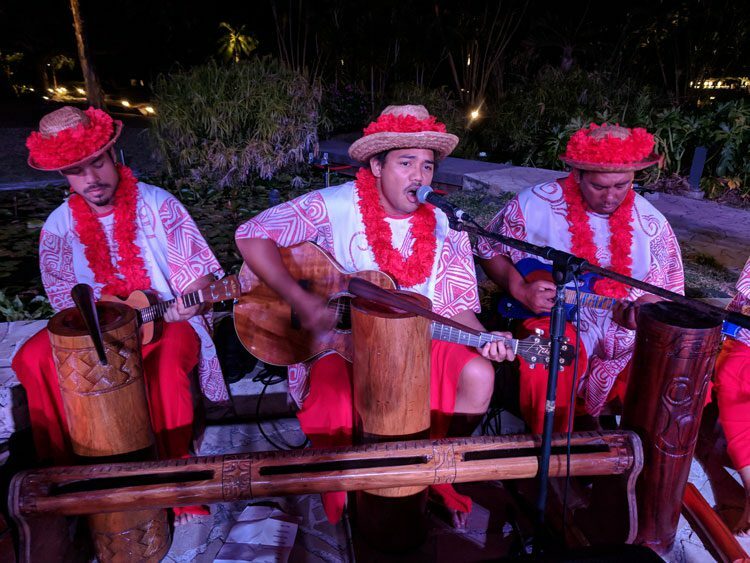 In Tahiti, it is the Protestants who sing the loudest. 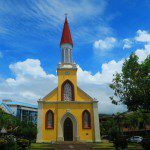 If you’re in Papeete on a Sunday morning, head to the Paofai Temple. 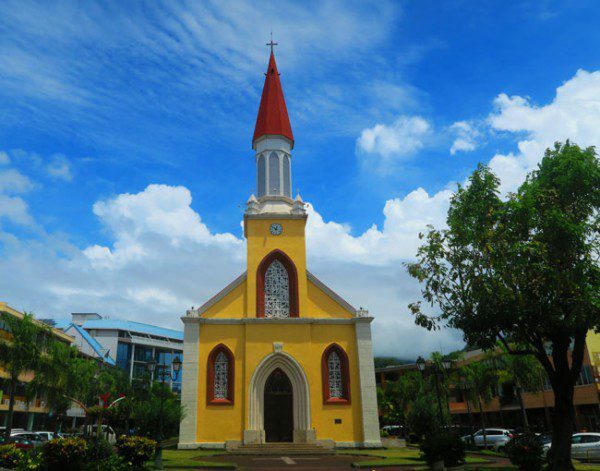 This charming pink colored church welcomes every visitor, and you’ll see the local Tahitians dressed in their Sunday best. Choirs erupt in beautiful acapella hymns, and if you’ve been to church on other islands – you might be able to join in the singing. Here’s what it looks and sounds like! 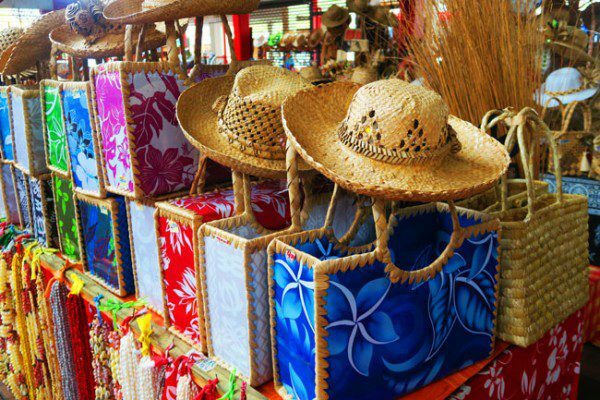 Tahiti is one of the best places in the South Pacific Islands to do a bit of shopping. 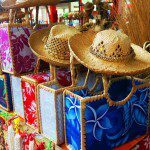 From colorful island fashion to vanilla, woodcarving, monoi oils and tons more – nothing beats the ultimate gift from French Polynesia, the black pearl. 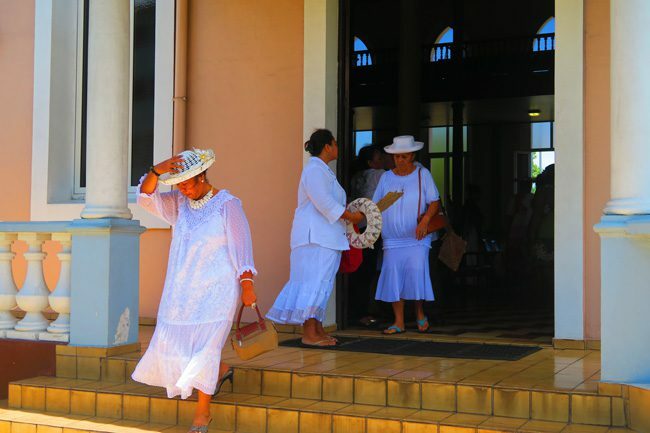 Though it’s been well over 150 years since Tahitians have converted to Christianity, evidence of their mysterious and deeply spiritual ancient religion is still present throughout the island. 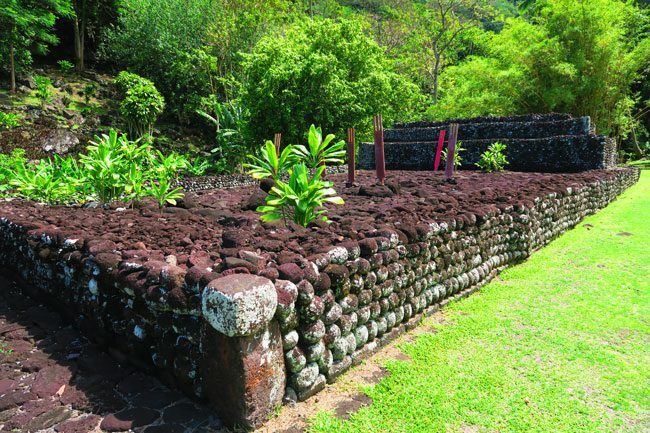 Pay a visit to one of the ancient marae in Tahiti, with Marae Arahurahu on Tahiti’s west coast being the best. Admire the sacred tiki statue and have a look at the ahu – the altar reserved only for the highest Polynesian priests. Start off by snacking with the resident Galapagos turtles, one of which is approaching 200 years (UPDATE: in January 2018, stray dogs entered the turtles’ enclosure, seriously wounding the two and eventually leading to the death of the male turtle). Then, explore the beautiful grounds of the botanical gardens – with wild palm trees, lily ponds, and lotuses around every corner. The highlight though is the mape forest, simply enchanting. 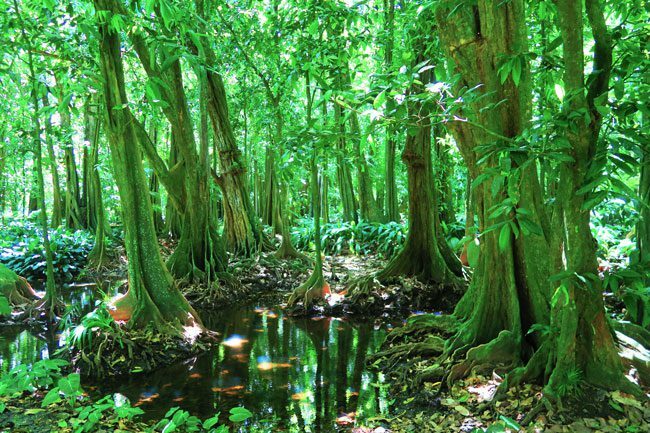 Also known as the Tahitian Chestnut, the roots of this incredible tree will swirl in any direction until finding some water (which is never too far around here…). 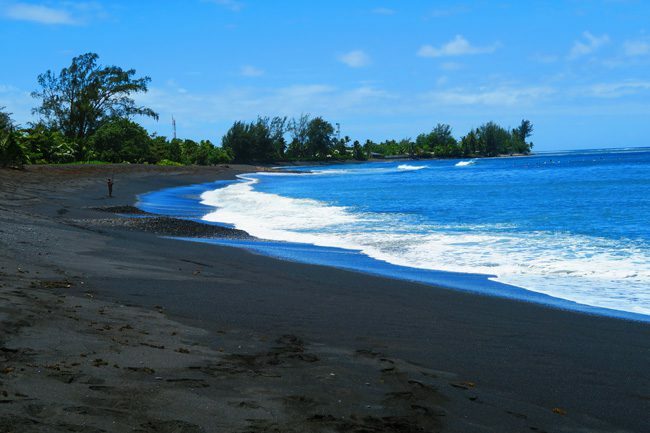 We all dream of lying on a perfect white sand beach, but wait until you visit one of Tahiti’s famous black sand beaches. The best one is Papara Beach on the south coast, where your feet burn just after a few seconds. 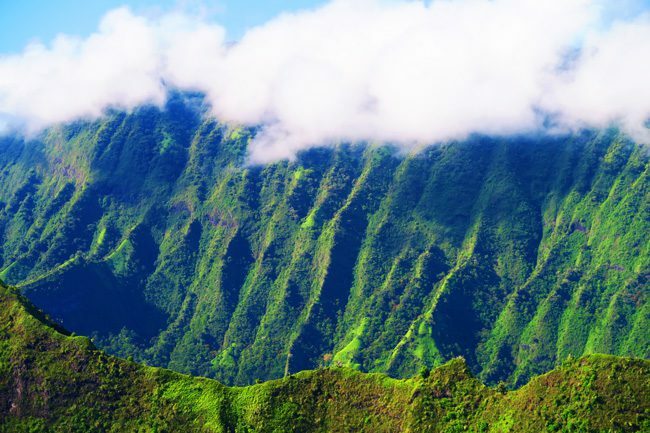 Another worthwhile stop is at Teahupo’o – famous for its crazy high waves, but also home to a gorgeous looking beach! The French are well known for erecting lookout points at worthy spots and thank God for that. 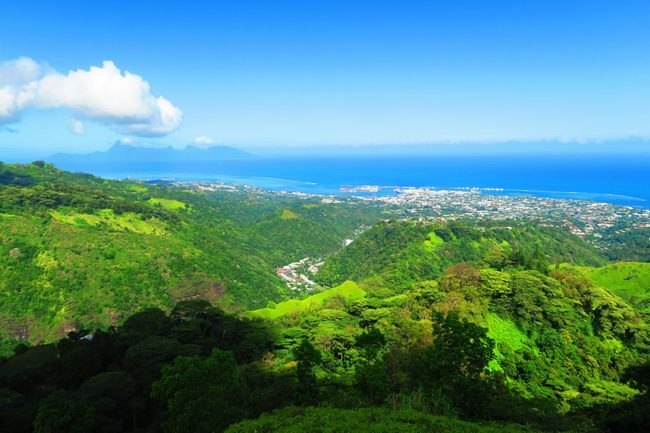 Up high on the mountains just outside Papeete, the Belvedere offers incredible panoramic views of Papeete, the signature mountains that Tahiti is famous for, and even the island of Moorea in the far distance. 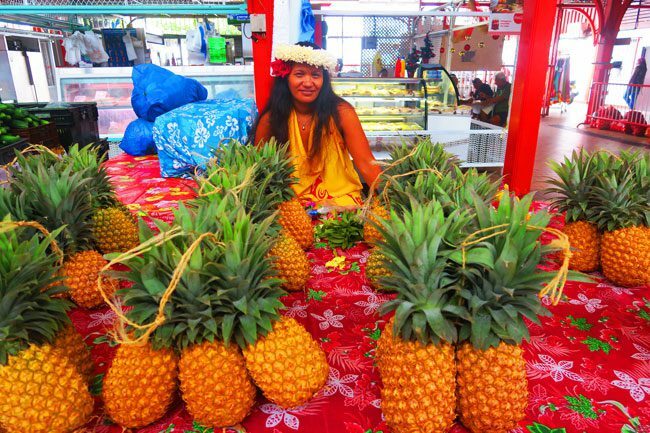 Hands down the best market in the South Pacific Islands, the Papeete Market is the buzzing center of this already busy small capital. 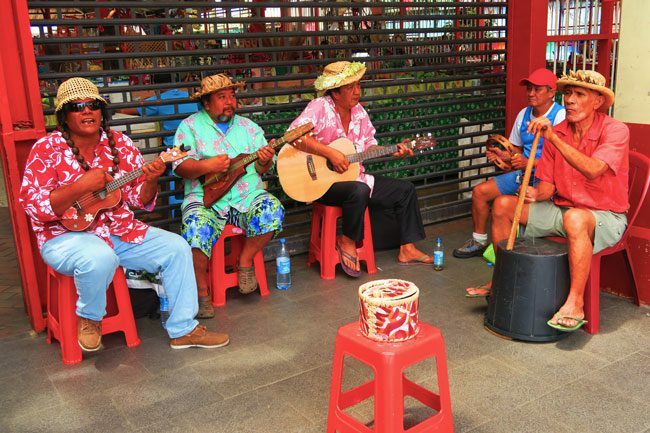 Grab an ice cold coconut at the door while listening to some live Tahitian music, before setting out to explore the two-story covered market. 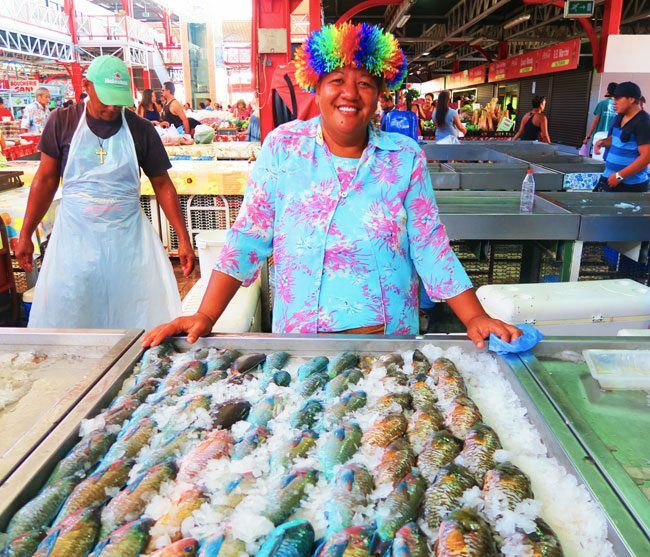 You’ll find here everything, from fresh fish to fresh vanilla – and if you’re lucky, the family that sells sugarcane juice will be working on the day you visit! 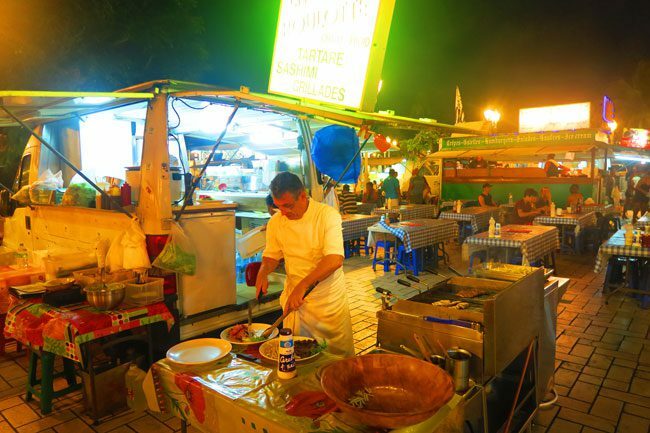 Papeete’s main square turns into a food lover’s paradise after 6pm, as the famous roulottes set up shop and begin preparing dinner. 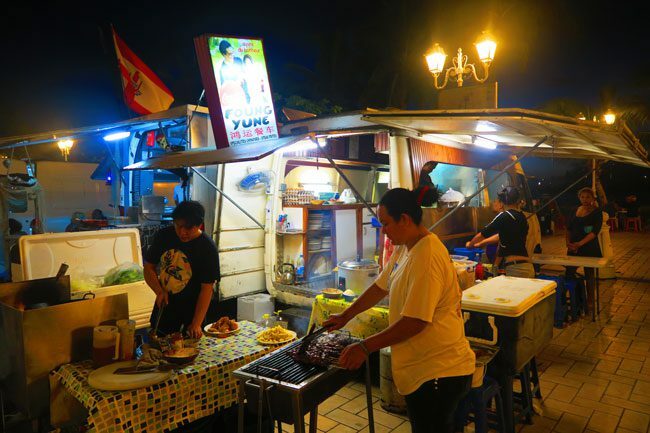 These large food trucks serve everything from Chinese dishes, crepes, steaks, sashimi and of course – the national dish, the poisson cru (raw chunks of fresh tuna in coconut milk). 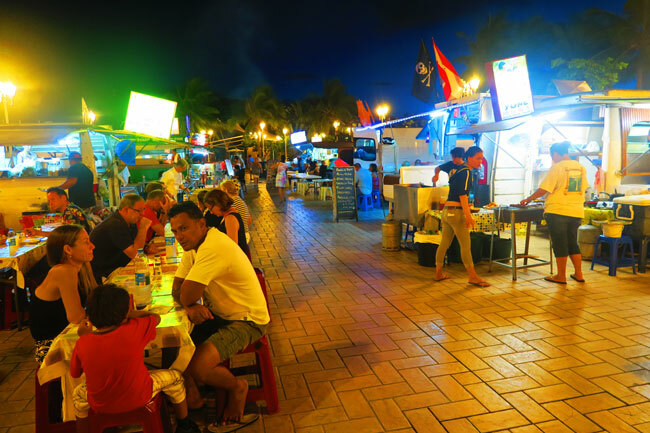 The vibe is great and locals, as well as tourists, flock here every night to enjoy delicious food at a good price. Portions are huge and no matter what you ordered, you’ll always get it with a side of sliced baguette! 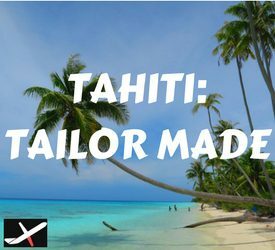 Let’s face it, Tahiti is not known for its beautiful beaches like its neighboring islands. 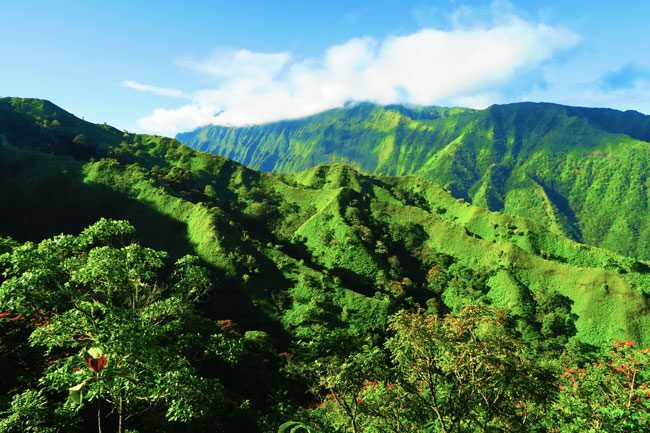 But it does have one trick up its sleeve in the form of breathtaking hikes. 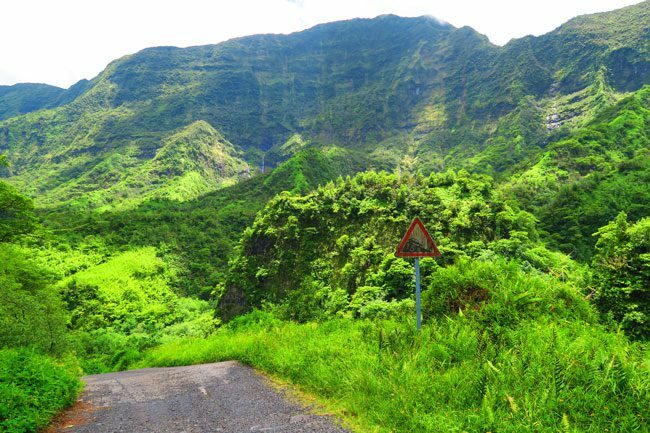 The jewel of the crown is the hike up to the summit of Mount Aorai – the third highest peak in this island of giants (2066m). Every step could be your last, and with parts of the trail named ‘the devil’s peak pass’ – you’re bound to think twice before heading out (not to mention you start hiking very early in the morning). But with risk comes reward. Just have a look at the views! 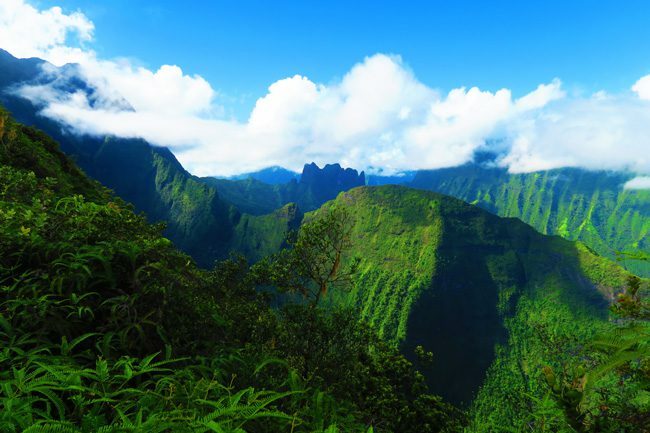 If you’ve imagined Tahiti to be filled with giant waterfalls cascading down from lush volcanic peaks – imagine no more! 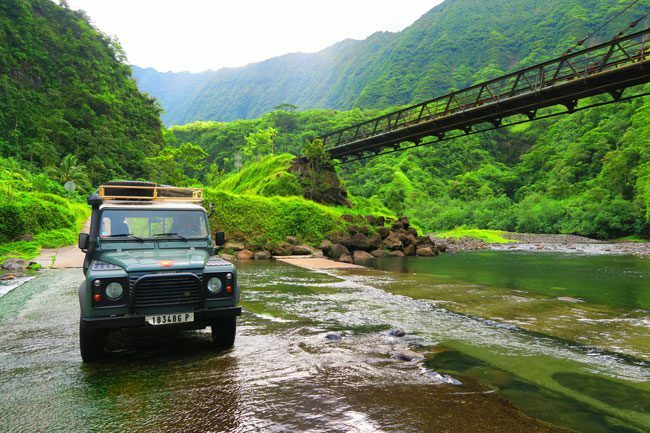 Venture into the uninhabited interior of Tahiti and you’ll never forget this day. 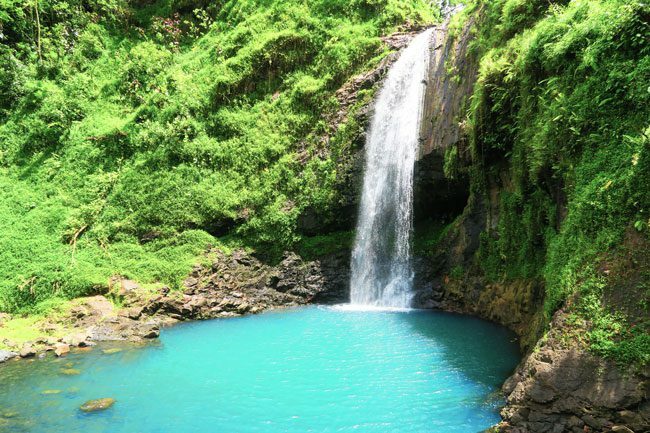 The drive takes you along the Papenoo River, crossing streams, climbing up to gorgeous vistas and down to waterfalls that are straight out of a magazine cover. This is paradise folks, and there’s hardly anyone around to share it with! 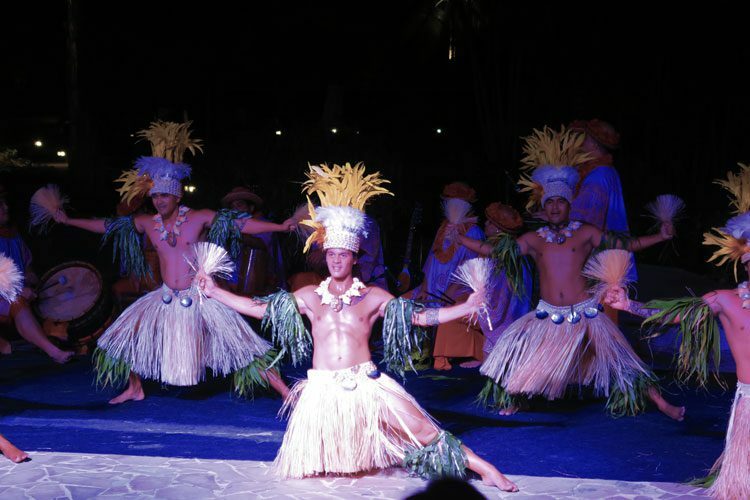 Bonus: Catching a Tahitian evening dance show! Fancy a bit of culture? 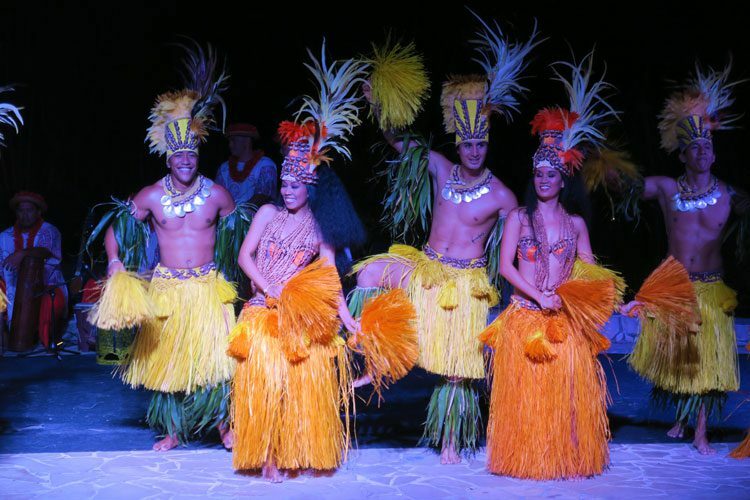 Head to one of the evening Tahitian dance shows which take place during several nights of the week in the island’s top resorts. Dancers, singers, and musicians are usually part of winning groups from that year’s Heiva Festival so we are talking about some serious talent. 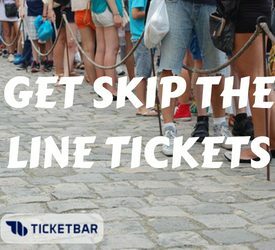 Shows are usually preceded by a fancy buffet dinner, starting at around 7pm and ending at around 10pm. There you have it! 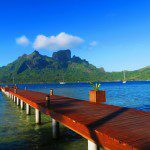 The top things to do in Tahiti, at least my personal list. 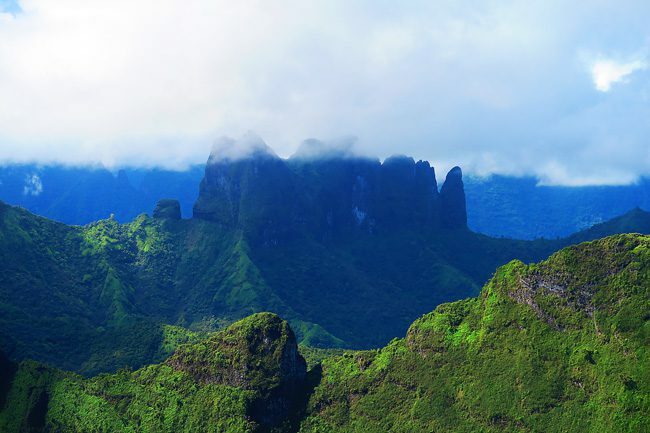 There’s lots more to see and do in Tahiti. 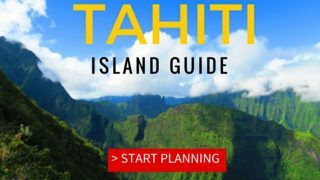 Have a look at the Tahiti Travel Guide for more information about the island, and the French Polynesia Travel Guide, your guide to 11 islands in paradise.